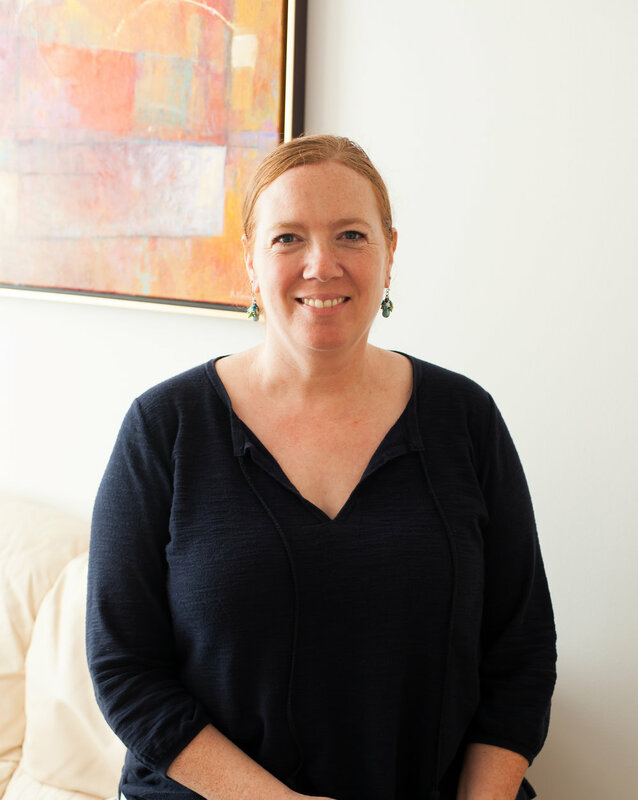 Laura Reagan, LCSW-C is a Maryland Board Approved and Registered Supervisor offering clinical supervision and consultation to individuals and groups. Laura specializes in complex trauma and the effects of trauma exposure on therapists. Contact Laura to discuss supervision or consultation and sign up for the Trauma Therapist Community! AND - there is a lot of cutting edge neuroscience out there that you might not have learned about when you were in school, regardless of how long ago that may have been. Maybe you want to begin to practice in a more trauma-informed way. I’ll help you with specific techniques, and so many resources that I use and recommend often. So is this a support group or clinical consultation? It’s a clinical consultation group specifically related to our work with trauma, with a lot of non-judgmental support and compassion sprinkled in. You can bring cases you’d like to consult on or specific issues you would like to understand better. Or you can bring your big existential questions, emotions, and we will hold it all in community. After spending time in community you can expect to walk away feeling hopeful, supported, empowered, clinically skilled, creatively inspired, and confident. Imagine looking forward to going to work each day, feeling energized about the important work of being a trauma therapist. Surround yourself with support. Join us in the trauma therapist community for clinical case consultation, resiliency building and personal growth. If this sounds like the opposite of how you feel now, we hope you will be inspired to gather with us. These groups will intentionally be kept small. We will meet via a secure, HIPAA-compliant video platform. Together we will create a safe space for authentic connection with other trauma therapists. All members are invited to keep in touch via a private Facebook group created exclusively for this community. The Facebook group is a great place to offer support, ask questions, offer and get resources, and keep in touch between clinical consultation group meetings. Enrollment open now for May 2019. A: The package includes monthly group consultation and a private Facebook group. The meetings are held via Zoom and begin Wednesday, May 8 at 3 pm Eastern time. *If the Wednesday at 3 pm meeting time doesn’t work for you, contact Laura at laura@bahealing.com to join the waiting list for other dates and times. A: The 60-minute consultation group is $97 per month for a minimum of 6 months. Q. What are the dates for the online group meetings? A. The meetings are held via Zoom and begin Wednesday, May 8 at 3 pm Eastern time. A. We trauma therapists often feel isolated and sometimes it is tempting to use online spaces which aren't secure, such as Facebook, to discuss clinical content. I created this space to address an unmet need for trauma therapists to give and receive support among others who understand the difficulty of this work. We will discuss clinical presentations of trauma which may be overlooked or misdiagnosed. We’ll discuss trauma informed assessment and how to practice from a trauma-informed perspective. You will learn strategies and techniques to move through your stuck points and your clients' stuck points. We will be honest about how we are affected by our work. You will gain information and resources to improve your skills as a therapist working with clients who have trauma, and to support your own health and well-being by addressing and preventing harmful effects of secondary trauma exposure through work. I want you to keep doing this work for the next 30+ years, and do it well. Our world needs skilled trauma therapists to keep shining brightly and working from an emotionally and physically healthy place! Staying healthy requires support and community, and the Trauma Therapist Community is designed to meet this need. To be more specific, this means we will have time and space for clinical case questions, support, hope and inspiration and networking. Each group's direction will evolve with the needs of its members. We discuss what we are doing and what we aren't doing, to stay grounded and well while doing our work and in our personal lives. A. You'll receive an e-mail after you register confirming your registration and providing you with additional information. The meetings are held via Zoom and begin Wednesday, May 8 at 3 pm Eastern time. If this is your cup of tea, click the button below and sign up NOW! Get the support you need to provide excellent trauma-informed care to your clients, avoid burnout and live your best life. Don't delay! Space is limited to 5 participants per group to ensure a safe space for all. A LITTLE ABOUT ME I'm Licensed Certified Social Worker - Clinical (LCSW-C) in Maryland and a Certified Daring Way™ Facilitator. I'm a Maryland Board Approved and Registered Supervisor offering Clinical Supervision. I offer Clinical Consultation with therapists around the country and the world via phone or video. I utilize a relational, trauma-informed, insight-oriented, compassion-focused framework encouraging vulnerability and authenticity and concepts from Trauma Stewardship and The Daring Way™.